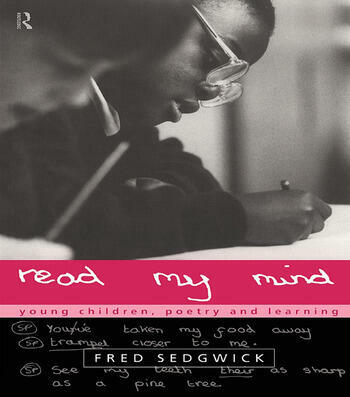 In this, Sedgwick's latest book, he aims to help all those involved with children and their learning through poem-writing improve their practice. He argues that through poetry, children can learn about the whole curriculum, including history and science. The book begins with an introduction outlining the importance of poetry, and defining it. It discusses poetry in terms of children's learning and the imagination. Case studies are used to show how children learn about themselves - first, their bodies, and second, their thoughts and emotions - through the writing of poetry. Using many examples of childrens work he considers how children learn about their environment and the relationship between themselves and their environment. Finally, he discusses his techniques for getting children to write and provides recommendations for further reading. Fred Sedgwick is a freelance lecturer and writer specialising in children's writing, art and personal, social and moral education and has been described as 'the nearest thing I've seen to the Pied Piper'. Previously a headteacher in primary schools for 16 years, he has published books of poetry for both children and adults. 'This book is...an invaluable resource for those wishing to extend their own repertoire of poetry for children.' - The National Literacy Trust's 1997 International Annotated Bibliography of Books on Literacy.